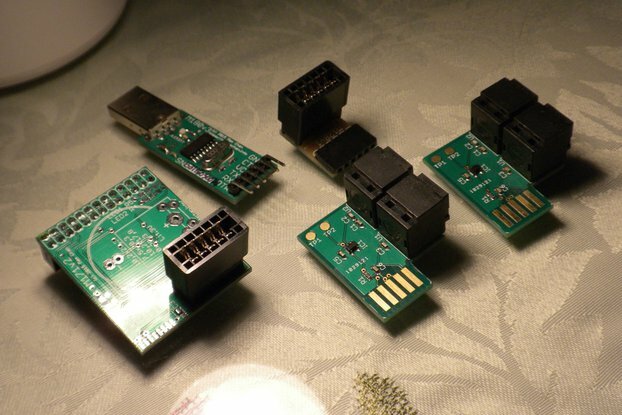 ARM JTAG 20-pin to Cortex Debug 10-pin adapter, with serial lines added. 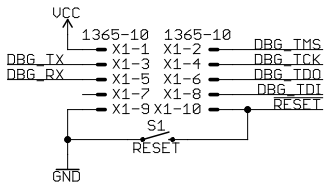 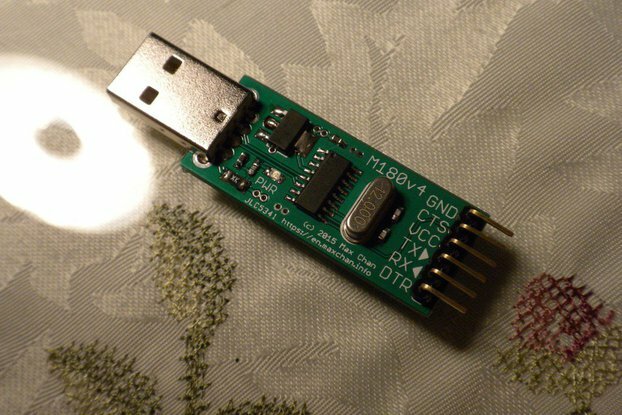 ComboDebug is an 20-pin ARM JTAG interface to 10-pin modified Cortex Debug Connector adapter. 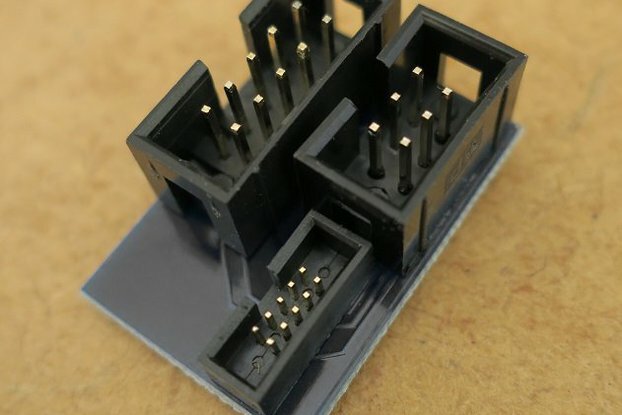 The modified Cortex Debug Connector added a serial interface to the same connector, replacing the two of the three ground pins. 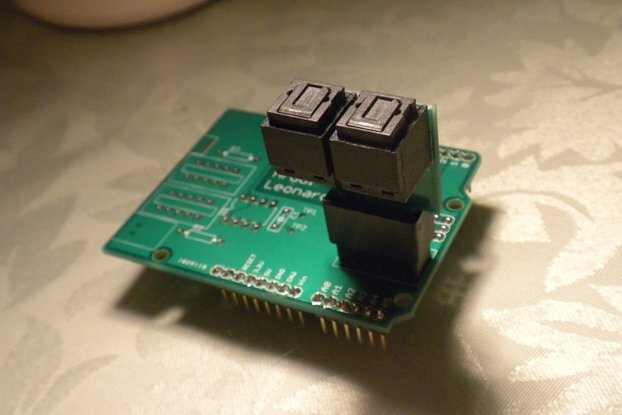 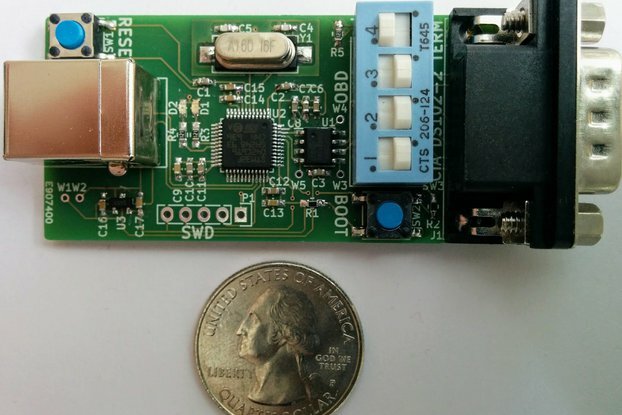 It should be compatible with most existing Cortex Debug Connector applications. 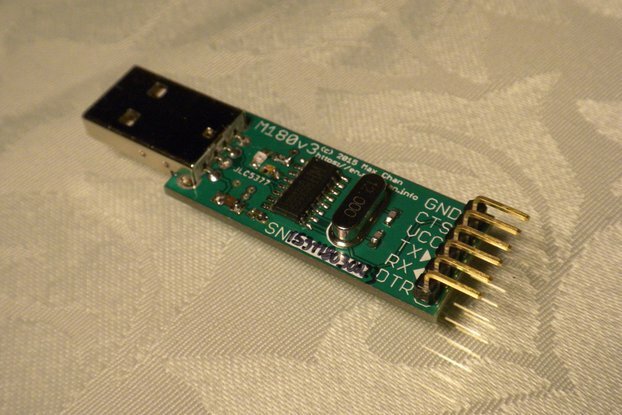 With the USB serial part disconnected, this adapter is compatible with J-Link 9-pin Cortex-M adapter. 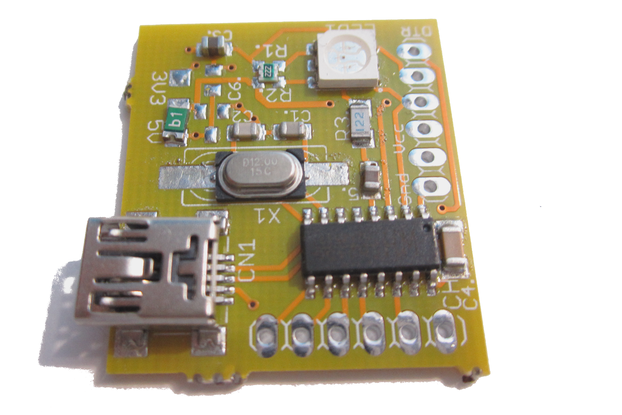 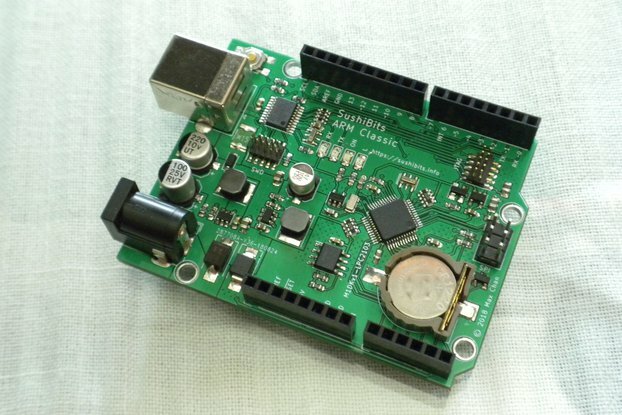 Originally intended to be used as part of DAP42 project which provided a combined CMSIS-DAP and USB Serial interface, this is the version which contained an onboard USB to Serial adapter, for the use of standard debug adapters that does not provide an onboard USB serial adapter.